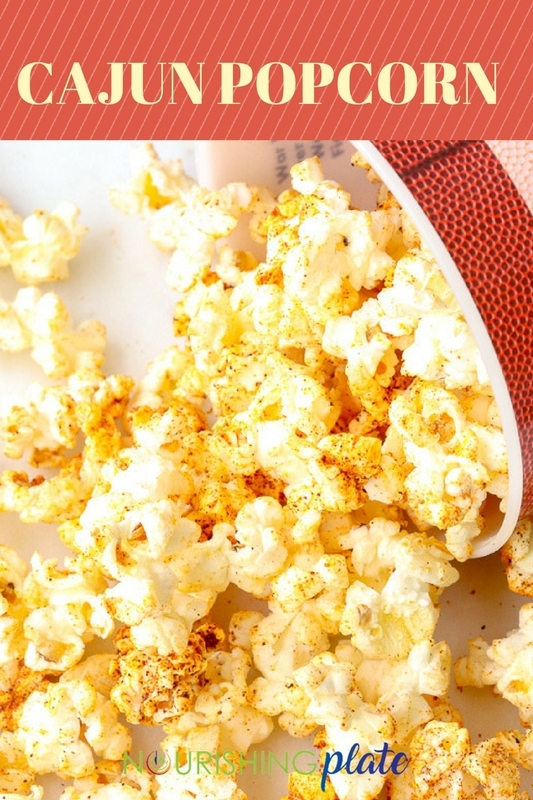 Perfect for watching the big game, Netflix bingeing or anytime snack! These savory flavor combos will tempt your tastebuds with unique flavors you might not expect! 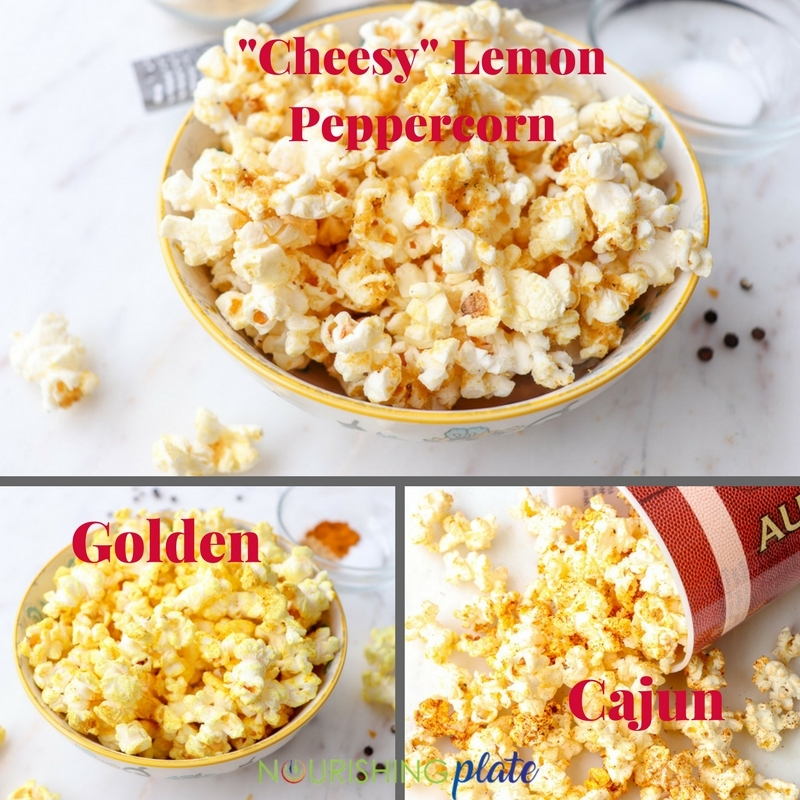 I used microwave popcorn bags in these recipes but you could use an air popper or Dutch oven to pop the kernels on the stove. A typical bag of microwave popcorn yields about 12-13 cups of pocorn, while 1/2 cup of popcorn kernels yields 16 cups. You don't have to be exact with these recipes though, adjust the seasonings to your preference. If using a bag of microwave popcorn, be sure to get one with minimal fat and salt added - each recipe will have some oil and salt added to the popped corn along with other seasonings. We received a microwave air popper as a Christmas present and love it! I like to add a little coconut oil along with the popcorn kernels and then just sprinkle with a little salt afterwards. But, to take things up a notch, try one of these savory flavors! My husband, Patrick, said this reminded him of chili-cheese corn chips. There is no cheese in the recipe but it definitely has a chili flavor from the spices and even a little kick! Combine all seasonings together in a small bowl. As soon as popcorn has popped, drizzle with coconut oil, sprinkle on the seasonings and toss to mix (I used a large bowl). I know "golden" soup, smoothies and lattes are all the rage, why not golden popcorn?? The name, and color, come from the addition of turmeric, a spice with powerful anti-inflammatory properties. When paired with ginger, it results in a beautiful golden color and actually a buttery taste. (Watch where you wipe your hands after eating though, it can stain clothes!). This was the most unique flavor combo to me (and my favorite). I tried this first with grated Parmesan cheese but it wouldn't stick to the popcorn without adding lots of oil. I recently purchased some nutritional yeast to experiment with in some recipes. If you are not familiar with nutritional yeast, it is yeast grown on a food (typically molasses) then heated and "killed" (deactivated), dried and crumbled. Containing protein and fortified with B vitamins, it is popular among vegetarians and vegans as a source of nutrients potentially missing in their foods (particularly vitamin B12). But, even carnivores can enjoy the taste of nutritional yeast. It provides a nutty, cheese-like flavor that is wonderful in soups and on vegetables, pasta, potatoes and popcorn! I've tried it on pasta and even made "cheesy" garlic bread with it. While it won't replace cheese for me all the time, it is an easy way to get that flavor along with the nutritional benefits. What I loved most about this popcorn was the lemon zest, don't skimp on that! I used olive oil with this recipe as opposed to coconut oil and increased the amount to help all the seasoning stick to the popcorn. Slightly nutty, with tart bursts from the lemon zest, we polished the whole bowl of this popcorn off in about 3 minutes! Combine the nutritional yeast, garlic powder, salt, pepper and lemon zest in a small bowl. As soon as popcorn has popped, drizzle with olive oil, sprinkle on the seasoning and toss to mix (I used a large bowl).